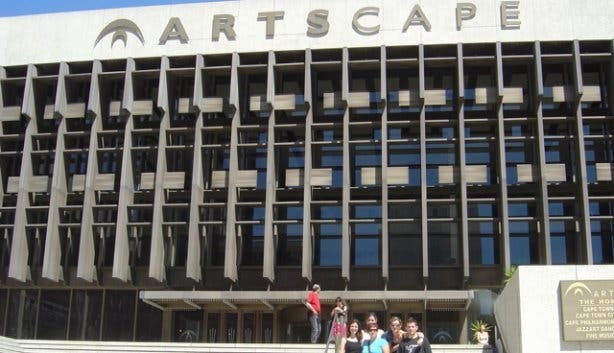 The Mother City is home to a number of theatres, playhouses and concert halls that present some of the best local and, often, international productions. 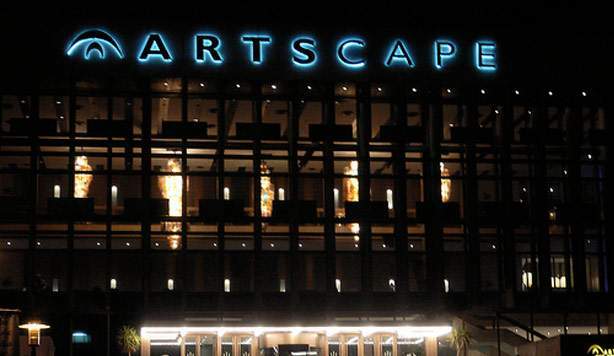 From world class ballets and musicals to experimental and original South African works, you will undoubtedly find a theatrical experience that suite your taste at one or more of these Cape Town theatres listed below. 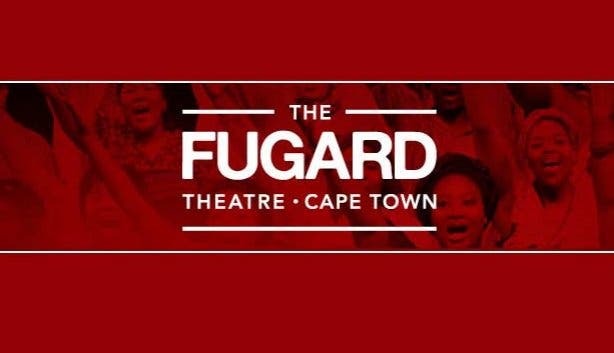 Located in the historic Cape Town area District Six and named after South Africa’s world-famous playwright Athol Fugard, this theatre is one of the Mother City’s most popular playhouses. 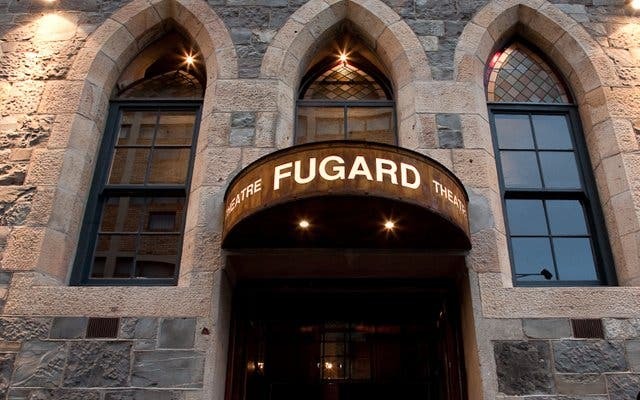 The Fugard has played host to a number of critically acclaimed as well as thought-provoking local and international productions like Waiting for Godot, which starred Oscar nominee Sir Ian McKellan, The Rocky Horror Show and A Human Being Died That Night. Shows can be enjoyed in the different theatres: a 280-seater, a 150-seater, and a bioscope. 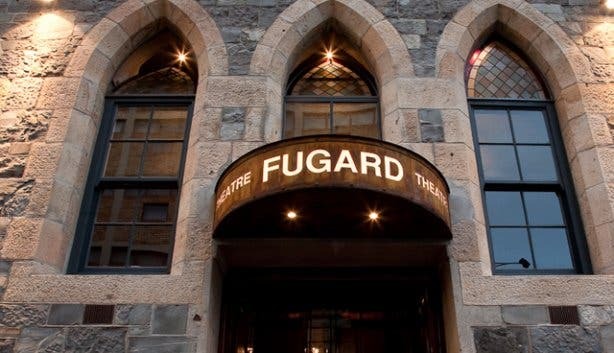 The Fugard is set in the iconic Sacks Futeran building, a carefully preserved National Heritage Site and boasts a ground-floor bar that opens two hours before each show. Patrons are more than welcome to take drinks into the venue to enjoy during a show. Do note: load-shedding does not affect any performances or screenings in the venue. Opening times: Monday - Saturday: 7pm - 10pm. 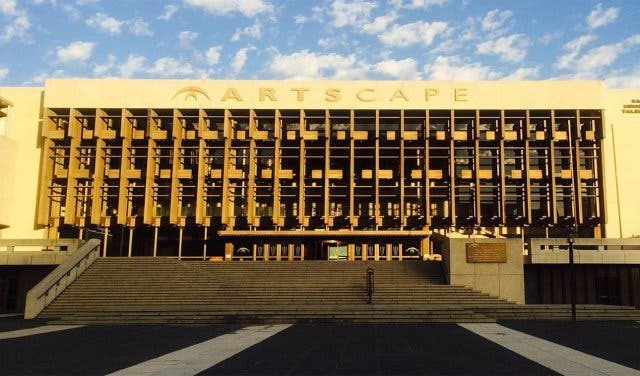 Artscape’s main aim is to promote performing arts, but it has expanded to include audience development education, writing programmes, a resource centre, youth music competitions and is host to countless festivals. Audience have been enthralled by a vast range of productions such as The Sound of Music, War Horse and Swan Lake. The centre also houses a nifty eatery, The Arts Café, which serves well-priced meals for breakfast lunch and supper. Opening times for the restaurant depend on the productions showing in the week. Opening times: Monday - Sunday: 9am – 11:30pm. 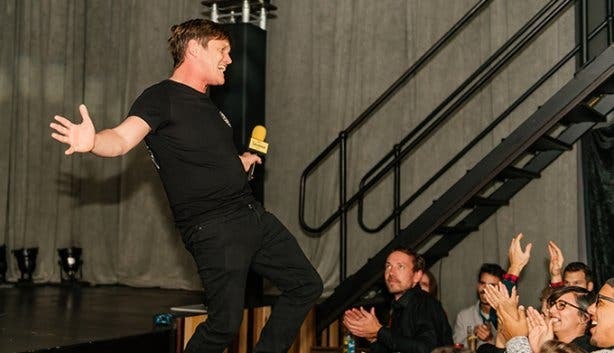 Offering a diverse line-up of drama, comedy, live music, readings and even a magic show or two, the Alexander Upstairs theatre is an intimate space that features something for everyone. 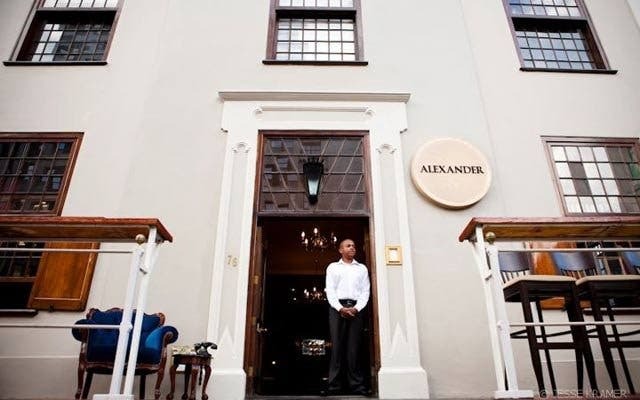 Perched on top of Alexander Bar and Café, the spot often runs two shows a night and prides itself on being a platform for up-and-coming talent in Cape Town. Audiences are encouraged to take their drinks of choice into the performance space and to enjoy a meal in the downstairs section before or after a show (the kitchen closes at 12pm every night). Opening times: Monday – Sunday: 11am to 1am. 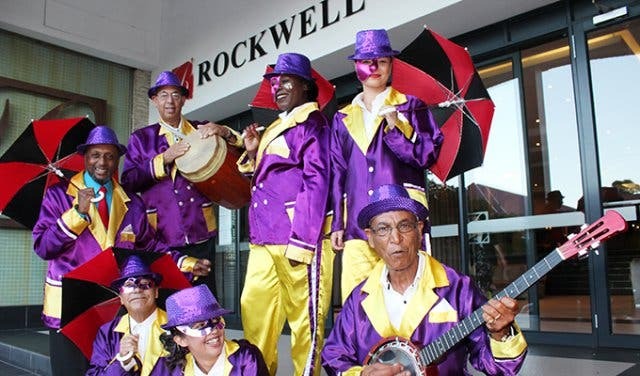 Founded by showbiz heavyweight Richard Loring (of African Footprint fame) and long-time friend Roland Seidel, this vibey dinner theatre in Green Point is the ideal place to enjoy some top-notch entertainment while tucking into a tasty meal. Housed in the Rockwell Hotel, the venue has a hospitable ambience that will have you feeling at home from the moment you walk through the door. Treat yourself to the enchanting musical revue that has dazzled more than 1200 audiences over the past five years, Kaapse Stories from the Mother City. Running on Tuesdays, Thursdays and Saturdays (and most other days, depending on demand), this interactive musical production sheds light on Cape Town’s vibrant history through humorous storytelling and song. 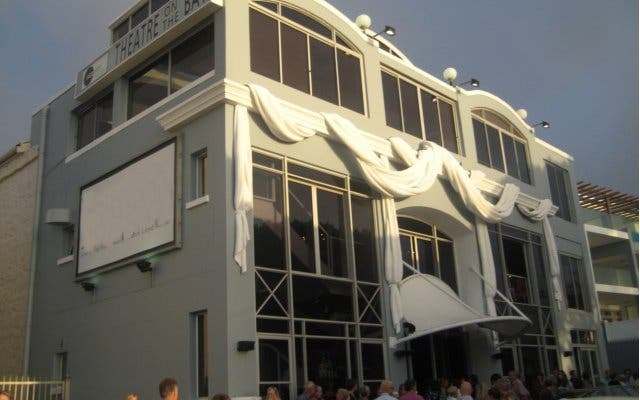 This unique, Atlantic Seaboard spot differs from many other Cape Town theatres in that viewers can pair the entertainment with a delicious local buffet. Opening times: Monday – Sunday 7pm – late. 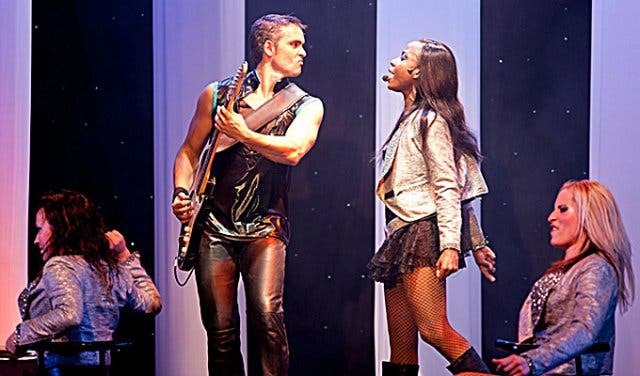 Peter Toerien’s theatre offers a mixture of local and international drama, musicals, comedy, cabaret, music and dance so it comes as no surprise that the venue is a popular choice for those looking to have a good night out in Camps Bay. Not to mention, the hotspot houses the stylish Sidedish Theatre Bistro so guests can indulge in hearty meals before shows. Opening times: Tuesday to Saturday: 6pm to 11:30pm. This theatre strives to present South African and international cutting-edge and major works. 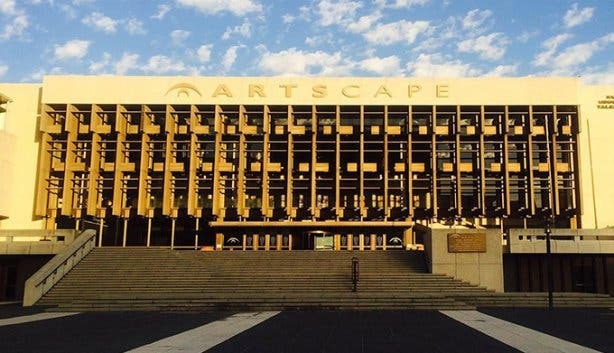 By providing a stage for music, drama, ballet and intimate theatre, the objective is to reflect the cultures of all the people of South Africa on the stages, as well as in the foyers and galleries. 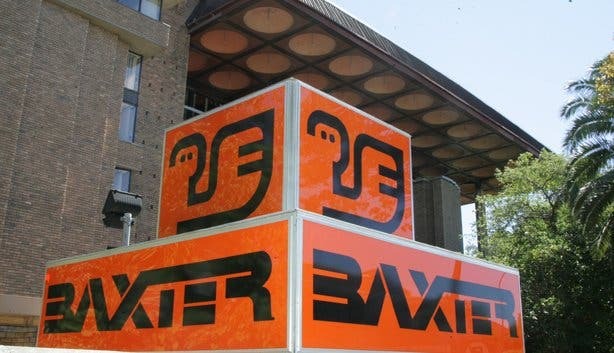 Built in 1976, the Baxter Theatre Centre challenged the oppressive apartheid regime by staging multi-racial and experimental work in a time when censorship and racial discrimination was rife. 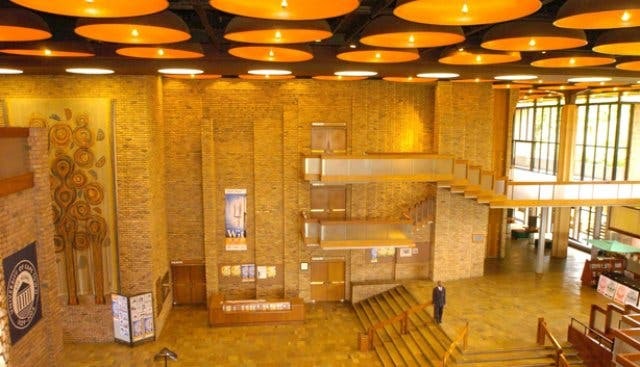 Many theatre legends have performed at the centre including the likes of John Kani and Andrew Buckland. Today it stages critically acclaimed productions of a very high calibre, and features the aptly named Long Bar on the ground floor and the buffet-style Baxter Restaurant, which serves up lunches and dinners comprising curries, vegetable bakes and breyanis. This venue was opened in 2013 by renowned theatre maker Nicholas Ellenbogen and offers a cosy 50-seater theatre. Perfect for new and established theatre-makers, the intimate setting allows the audience to truly engage with the subject matter presented on stage. Not to mention, the Rosebank Theatre sells wine, juice, tea, coffee and a range of snacks that the audience can enjoy before, during or after a production. Do note: the venue does not have card facilities, so be sure to bring cash to purchase tickets and refreshments. 16 Alma Road | Rosebank | Cape Town | +27 (0)72 316 6133. 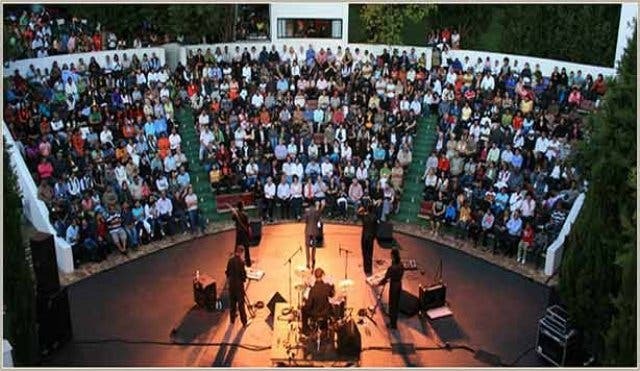 Having a reputation of being one of the best-loved outdoor theatre venues, the Maynardville Open-Air Theatre offers a wooded park for pre-show picnics and drinks, as well as a unique wooded 720-seater theatre. Well known for Artscape’s annual Shakespeare-in-the-Park, the Maynardville Theatre Trust continues to carry the banner of classical theatre and dance. Opening times: subject to productions that are taking place. As the only permanent puppet theatre in the country, this playhouse offers a unique kiddies entertainment experience. 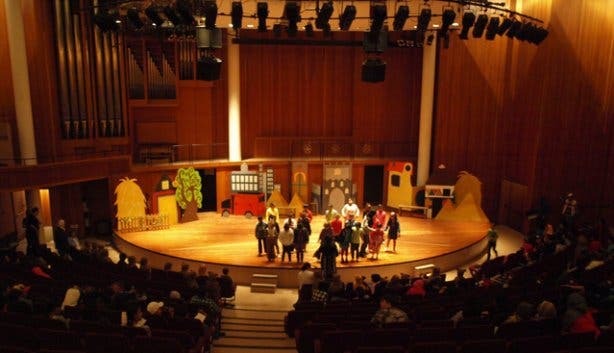 Every Saturday morning from a nook in the kindergarten building at the Constantia Waldorf School in Cape Town, the theatre puts on shows that are inspired by classic Grimm’s fairy tales and that have been reimagined to be kid-friendly (they’re recommended for little ones from age 4 and up). 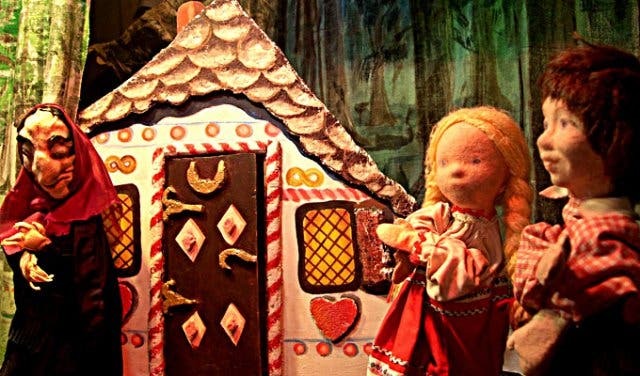 The productions rotate on a monthly basis and past pockets of magic have included retellings of Snow White, Hansel and Gretel and Little Red Riding Hood. Opening times: Every Saturday morning, and shows times are 10am and 11:15am. Willowbridge Barnyard Theatre is where it all comes together – friendship, good food, wine and brilliant entertainment! The in-house production company employs a wide variety of musicians and performers; and the music is vibrant, uplifting and highly entertaining. Patrons sit around heavy wooden tables and can utilise the fully stocked cash bars or coffee stations, while enjoying their own picnic basket or ordering pizzas from the theatre. 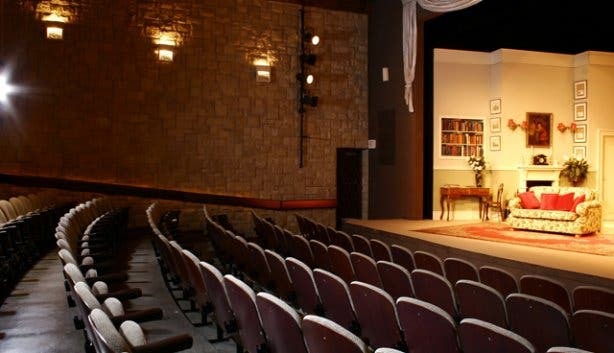 Situated in the heart of Durbanville, ‘The Cape’s only theatre in a house’ is a boutique theatre, guesthouse and conference centre as well as a multipurpose and multicultural venue. Villa Pascal offers a wide range of music, comedy, spoken word and theatre genres. Bring a picnic basket (snacks and wine) and enjoy a unique theatre experience. Opening times: Monday - Sunday: 6pm - 9pm. The Masque Theatre is an welcoming, first-class 174-seater venue and includes dressing rooms, excellent lighting and sound equipment. Currently the theatre hosts live shows (musicals, dramas, dancing), seminars, presentations, film shows, and more. The venue has been converted into an intimate, 78-seater theatre. The bar area serves light meals, snacks and drinks, and is set around a gallery - allowing customers to look down onto the stage below. The Kalk Bay Theatre also hosts ‘Theatresports’ every Tuesday night, where the performers do improvisation. Overlooking the Stellenbosch mountain range, the mostly Spanish architecture of the theatre adds to the setting. The magnificent view, the charming old trees and picturesque gardens provide the ‘perfect paradise’ destination for all art, music and picnic lovers. The Amphitheatre only operates from November to March. Opening times: Wednesday to Saturday: 20:15pm to 10:30pm, Sunday picnic concerts: 4pm - 9pm. This theatre’s secret to success lies in the unique atmosphere, which is created by the décor, all the pictures of South Africa’s well known artists that adorn the walls, great service, hospitality, amazing shows and the fantastic food. Opening times: Tuesday - Saturday: 6pm till late. This culturally authentic, interactive musical theatre experience takes place just outside of Stellenbosch in the Khayamandi township. The popular show tells the tale of a township trio – tavern owner Musa Mavundla, his wife and manager Patricia Jones and her cousin Fix Marwana – who save their shebeen from closure through music. 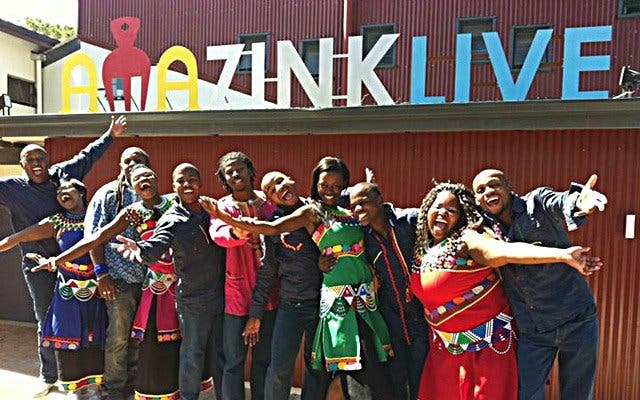 Enjoy traditional South African food in the AmaZink restaurant while listening to the music inspired by legends such as Miriam Makeba and Johnny Clegg. Take a trip down memory lane for one night only with Cole Porter at Let’s Do It! A medical doctor's 2nd opinion on how to fight the war on drugs with Dr Scott Is Psychoactive. Catch Cape Town funnyman Alan Committie in Shakespeare’s classic play Richard III at the Maynardville Open Air Festival. Pack a picnic and unwind for an evening of Opera In The Park. Here are some other indoor activities for when the weather isn’t co-operating with your plans. Subscribe to our monthly free newsletter and find us on Facebook and Twitter.